Welcome to this year’s School Enterprise Challenge! After many months of hard work and organisation, the team at Teach A Man To Fish officially launched the competition on 8th May, 2014. And there is much to look forward to! Thank you so much for your feedback in the School Enterprise Challenge survey that went out in February. We have now taken into consideration some of the changes you’d like to see, and have subsequently implemented them. There is now a ‘rolling’ deadline for each school relative to the date of registration. This ‘rolling’ deadline means that all schools who register before 23rd June will receive the same amount of time and weekly guides. Now nobody will be disadvantaged because their term started late or ended early! Another major change to the competition is the opportunity to have a school ‘profile page’ on the new School Enterprise Challenge website. You get to introduce yourself, contact other schools and participate in forums. All direct contact information remains confidential so that you can engage freely and securely with other schools, exchange ideas, brainstorm new projects, and just generally get to know each other! It’s a bit like Facebook, but for schools around the world. Further, there are new prizes to be won for primary schools, as many of you requested. Students from the ages of 5 to 12 will now have a selection of fresh and exciting prizes to vie for! Information packs are also a lot shorter, and our business templates more user-friendly. Entering the competition has never been easier! * More opportunities for business mentors AND school partnerships! * More exciting mini competitions! * A certificate of recognition for every school that enters! * AND a brand new website! This year’s competition will be in three stages, with prizes at every stage. At the first stage, you submit a business idea, and if you wish to, you can partner with other schools and apply for business mentors. At the second stage, you submit a business and financial plan, with the help of our step-by-step guide and business templates. Lastly, you submit a final report covering the launch and running of your business enterprise. 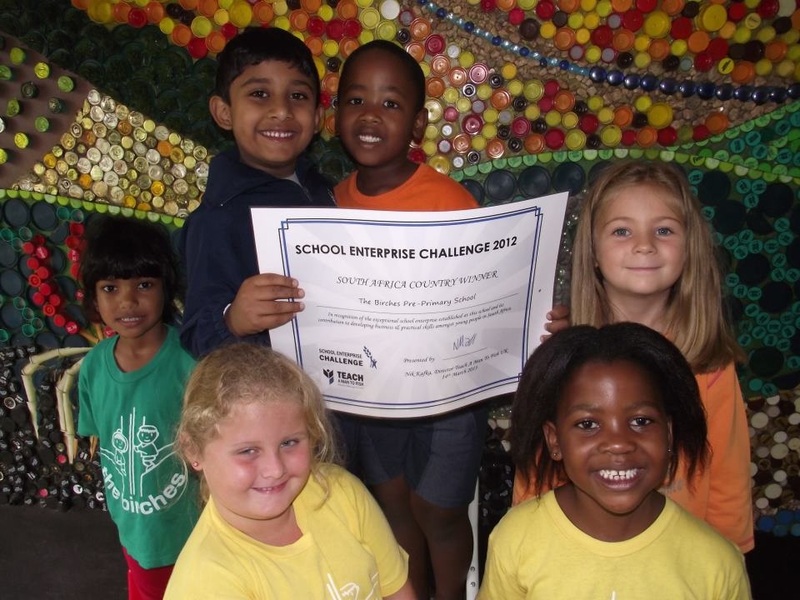 For more about School Enterprise Challenge 2014, please click here. Of course, what you loved best about the Challenge will remain the same. The competition is still free to enter, and still includes school from all over the world. We love that you get to acquire practical skill while getting to know schools from other cultures, and this year’s competition is designed to help you do exactly that in an easier and friendlier way. Which means that it’s time to register your school for an opportunity to win up to $5,000 and gain real-life business experience! The New Horizon International School in Cameroon was a Planet Winner for their innovative processing of cassava, a major source of carbohydrate in the local diet, into water fufu and garri. They not only addressed the scarcity of cassava and grinder machines, but also appealed to ecological concerns by reusing cassava peelings as compost for the next planting season. Our Non-Commonwealth Winner at the second stage was Shanghai Pinghe Bilingual School from China, whose business included selling recycled canvas bags and handmade leaf bookmarks. They are contributing a portion of their profits to a charity that supports disadvantaged communities. For a full list of our past winners, please click here. So what are you waiting for? Sign up for the School Enterprise Challenge now and have your share of this fantastic opportunity! This entry was posted in Uncategorized on June 3, 2014 by School Enterprise Challenge. Registration for the School Enterprise Challenge 2019 is now open! School Enterprise Challenge 2018 prize winners announced!